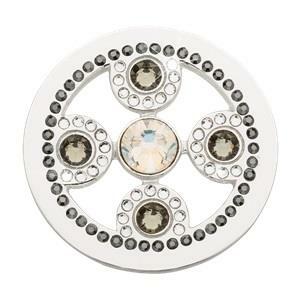 This silver nano-plated 'Romantic Beauty' coin would be a striking addition to any Nikki Lissoni set. Made up of a mixture of clear, irridescent and grey crystals this glistening circular design truly is beautiful. This is a medium 33mm coin designed to fit in the medium 35mm pendant.